Keeping up with your favorite stars on social media is no easy task, especially when we’re talking about Instagram and Snapchat stories that expire after just a quick 24 hours. Nothing is worse than when you realize you ran out of time to tune into your fave celebs’ stories – but lucky for you, we are so on top of it all. Seriously though – it’s a shame these things expire! Watch the video below to see a bunch of stars’ stories you may have missed! From Ariana Grande poking fun at her big brother Frankie Grande to Jenna Ortega taking a tumble on set, these stories are ones you seriously can’t miss. 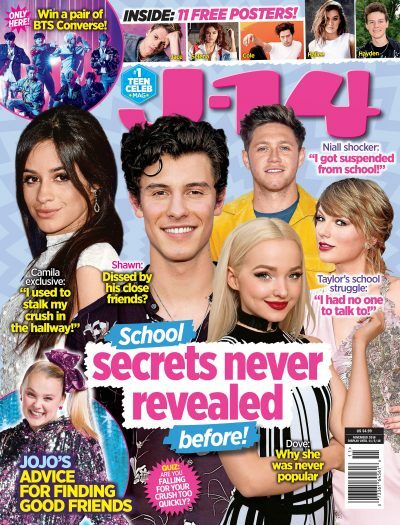 Sofia Carson‘s story with Thomas Doherty and Booboo Stewart may just be the highlight though, as the co-stars switched gears from Descendants 2 to High School Musical by putting on an epic lip sync performance.